STORYTELLING, WITH A FRESH TWIST. ChefsFeed is the only company that connects the world’s most influential brands with 3000+ food and beverage professionals. Let the experts tell your story to the world. When you partner with us, you unlock the keys to end-to-end talent sourcing, production, and distribution. Skip over the agency red tape and outsourced production teams—we do it all in-house. Tell your brand’s story through ChefsFeed’s unique voice. Amplify your brand using channel-optimized assets and credible influencers. Across ChefsFeed and our network of premium culinary partners. Bring your brand to life with one-of-a-kind culinary experiences. Our diverse audience is incredibly savvy when it comes to helping shape the future of commerce. We help your brand stand out, and speak to the credibility they crave. Create content that people love by combining your brand values with sheer talent. Our branded portfolio inspires over 100mm consumers each month. 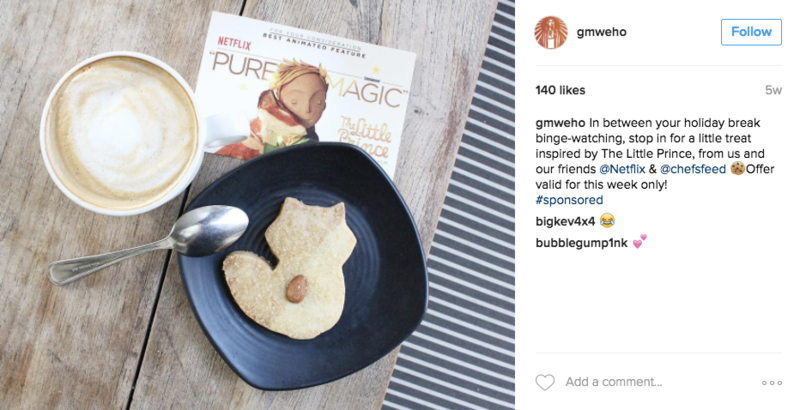 Netflix and ChefsFeed partnered on a restaurant activation program to create custom The Little Prince themed desserts, and provide these to lunch customers as a token of their appreciation. The program was activated close to LA’s movie studios, and amplified by ChefsFeed and participating restaurants and chefs. 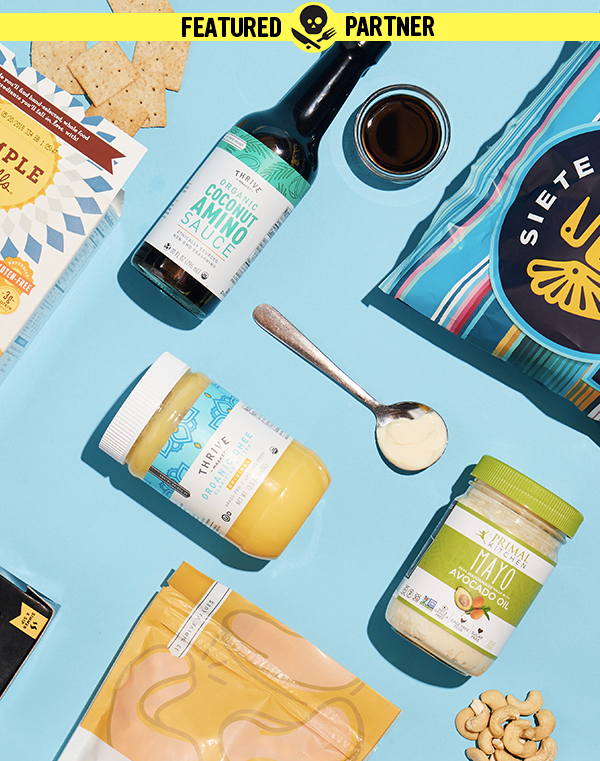 ChefsFeed promoted the partnership with a Story and a Dedicated Email that captured the details of the program, additionally Banner Media across O&O properties and premium culinary network promoted the program in the LA area. The promotion was also posted across social channels. ​Campaign resulted in over 500K impressions, and over 200 Social Engagements. COCA COLA and ChefsFeed created a Video Series and Sweepstakes partnership, to showcase the restaurant family and their meals together, all while sharing a Coke. Contributors included Chef Hugo Ortega of Caracol (Houston TX), and Chef Nelson German of alaMar (Oakland CA). 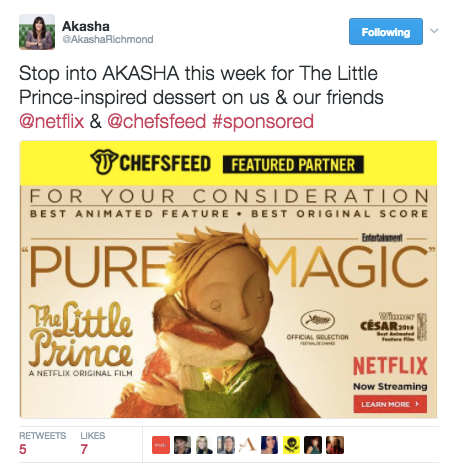 ChefsFeed promoted each video across O&O properties and social channels. The video was also promoted via email to all users and chefs, as well as on Social Channels. 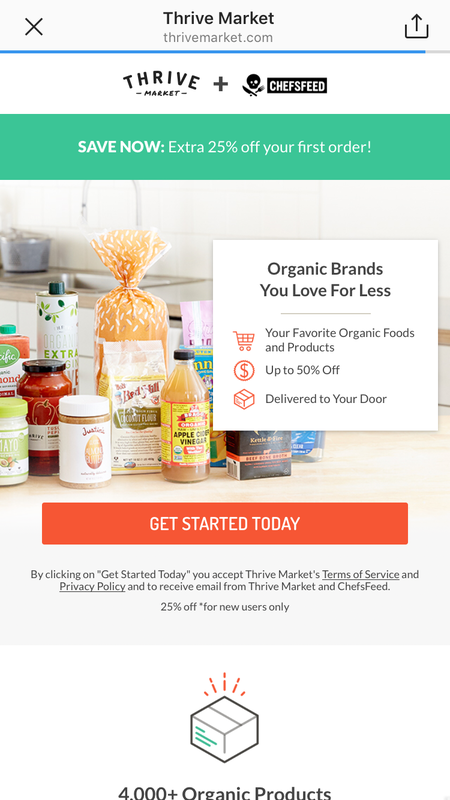 ChefsFeed partnered with Thrive Market to drive consideration and purchase intent at Thrive Market. 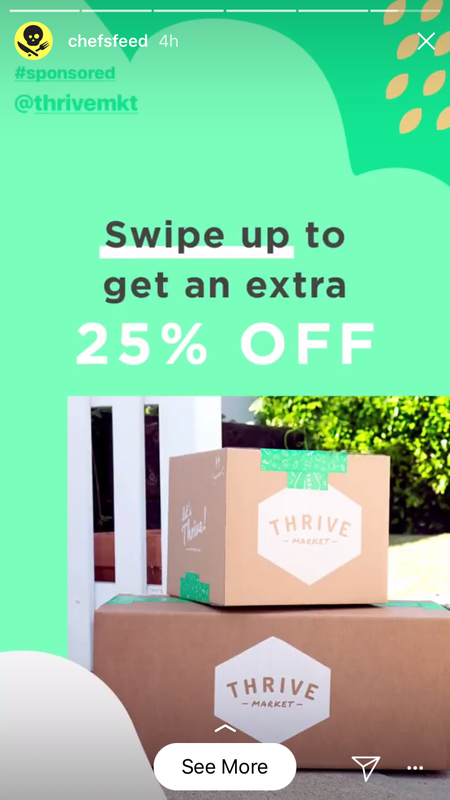 This partnership included 2 custom Push Notifications (one geotargeted to Thrive Market’s desired market locations and one national push), 2 Instagram Story Takeovers, and 1 Dedicated Email. 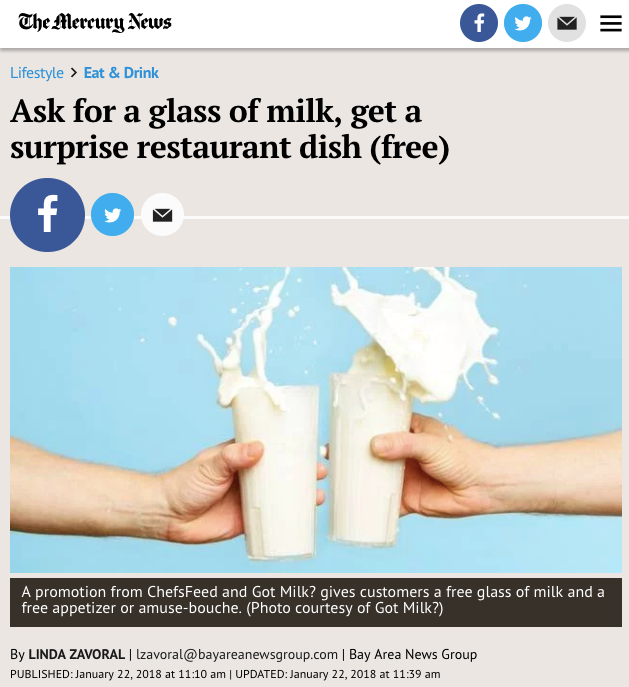 ChefsFeed & GOT MILK? Partnered together to bring a 2 week program to help consumers learn new ways to pair dishes with milk. The partnership included a two week Secret Dish program with 25 of California’s hottest chefs and restaurants. 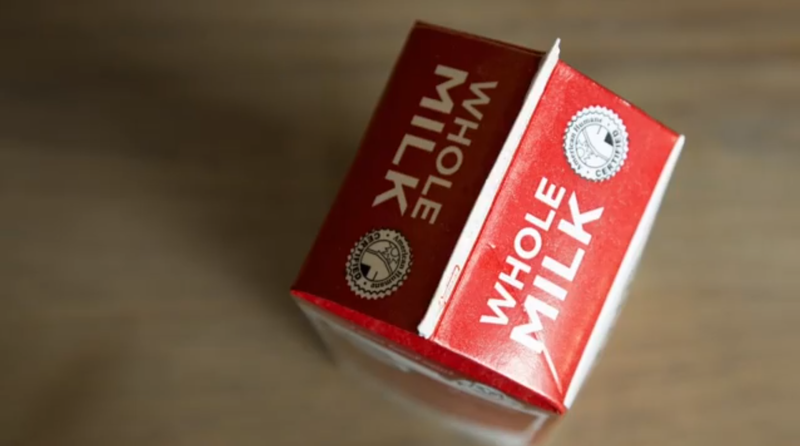 Consumers who ordered a glass of milk were able to access an exclusive, off-menu item designed to be the perfect milk pairing. Animated videos were served across social media platforms of the 7 major California cities throughout the two weeks. Sources, a 12 part video series created by ChefsFeed and Whole Foods Market, showcased the trendiest chefs in their homes, creating aspirational seasonal dishes, to inspire home cooks everywhere. 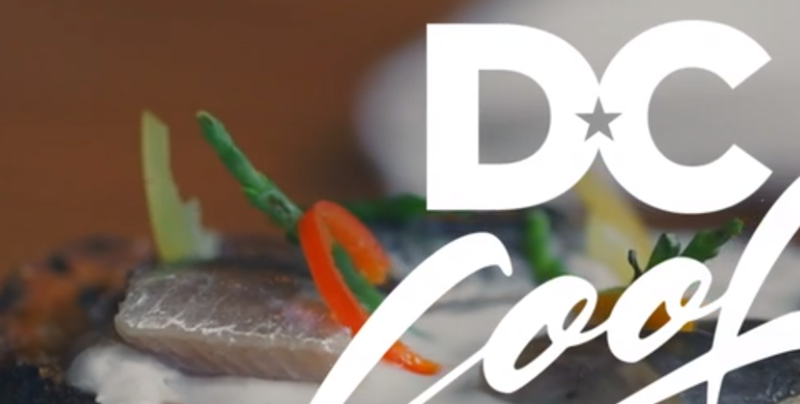 Each video in the series focused on different cities, chefs and ingredients. 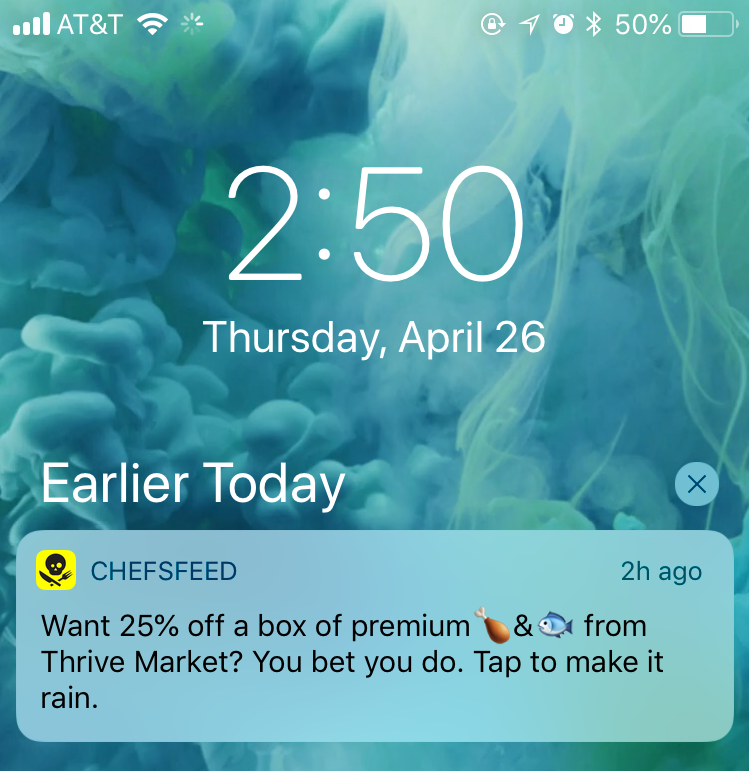 ChefsFeed promoted videos across O&O properties and email, and further amplified across social channels via ChefsFeed and our chef influencers. We also created in store activations where chefs interacted and provided tastings of their dishes. ChefsFeed and Destination DC partnered on a five-part video series named Chefs Dish DC to showcase DC as the ultimate culinary city in America. The series provided an inside look into our nation’s capital exploring The U Street Corridor, 14th Street Corridor, Shaw, H St. NE and Adams Morgan. 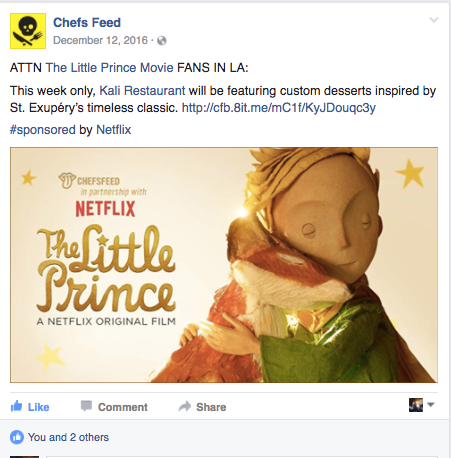 ​ChefsFeed promoted each video across O&O properties, emails and social channels. 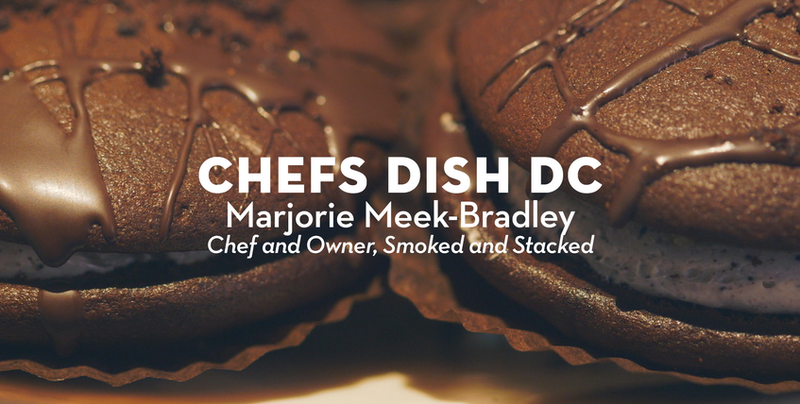 Each video starred a prominent ChefsFeed Chef based in DC, taking viewers on a journey to their favorite spots. Campaign resulted in over 5x the contracted video views at 1.6MM, and over 7K Social Engagements.